DeM Banter: Mission, Vision, Strategy…Innovation. The Corps faces budget cuts even as its responsibilities expand in an age of cyber terror and embassy attacks. In discussions in Washington about the sequester and defense strategy and resources, a basic question is often asked: “With the war in Iraq over and the war in Afghanistan winding down, why doesn’t the U.S. military simply reset to its pre-Sept. 11, 2001, capabilities?” The underlying assumption behind this question is that we, as a nation, had funding mostly right then. I’m not sure I agree. In any event, what sense would it make to plan for future challenges and requirements by arbitrarily looking back to how things were done more than 12 years ago? Consider what had happened to the Marine Corps by 2001. From 1990 to 2001, defense and security spending was cut by $100 billion on average each year. The focus on technology, and calls for cuts in manpower and procurement, assumed the U.S. would not need to commit ground troops to a major conflict for the foreseeable future. During that decade, the Defense Department reduced total active-duty strength by 32%. In 2001, the Corps totaled roughly 172,000 Marines, down from 197,000 in the 1990 Gulf War. Even at that time, manning levels consistently fell below target and equipment readiness suffered. At one point in 2000, one-third of the Marine aviation fleet was grounded due to maintenance issues. While assigned missions were expanding and crises were multiplying—for instance, in relation to developments in Iraq and terrorist threats in the wider Middle East—Marine capabilities were stretched thin. Then came 9/11. Over the past 12 years, fighting in some of the toughest corners of Afghanistan and Iraq, the Marine Corps has learned a lot about the force it went to war with—what worked and what did not. In many cases, our prewar focus on the “Three Block War”—which assumed that a modern Marine in the field might be called upon to fight, conduct peacekeeping operations and deliver humanitarian aid—was spot on (although we didn’t have the money and facilities to train all Marines to that very high standard). Over time, though, we found that as the conflicts evolved, we needed some adjustments—and needed them quickly. For instance, Marines found themselves short of critical capabilities in intelligence collection and analysis, in communication and in mobility on land, sea and in the air. Marines didn’t have enough light attack and utility aviation helicopters, for example. They also didn’t have all the training teams needed to advise and assist other countries in enhancing their own security. Furthermore, Marine logistics structure was not well-designed for our new, more spread-out style of fighting, which required supplying many small, autonomous units distributed across a large area. Unforeseen long-term conflict ashore meant that the Corps had to add not only personnel, but more skills and equipment. The new challenges of the 21st century also meant rooting out technologically savvy enemies who blended into the urban terrain and populace that sheltered them. Marines played their part in this effort by adding a Marine component to the U.S. Special Operations Command. This and other expanded demands led Congress in 2007 to authorize a Corps expansion to 202,000 personnel. Yet demands for these hybrid war capabilities—requiring highly adaptable Marines, able to shift rapidly between, say, a close-quarters firefight and a humanitarian mission—has not removed the need for more traditional capabilities. The suggestion that in an era of sequestration Marines simply “go back to sea” ignores the fact that Marines never left the sea. While most of our deployed force fought ashore, where the demand was, Marines continued to deploy Marine Expeditionary Units on amphibious ships. Despite the withdrawal from Iraq and the continuing drawdown in Afghanistan, the relatively new threat of cyber terror, and the traditional areas of embassy security and crisis response require uniquely skilled servicemen and women. Marines now provide a contribution to U.S. Cyber Command. They also provide increased support for embassy security, and currently provide a Special Purpose Marine Air Ground Task Force in order to increase U.S. crisis response capabilities in North Africa. While fighting in Iraq and Afghanistan, the Corps—along with the Navy—continued to answer calls to respond to natural disasters and skirmishes in the rest of the world. Marines also provided training and assistance that underpinned America’s commitment to build partnerships and stability within the broader security environment. In our post-9/11 world, more of our people must remain ready to deploy on short notice, which demands increased readiness levels compared with the force of 2001. These and many other commitments mean that even if you eliminate the requirements of Iraq and Afghanistan, commitments and requirements in other areas have vastly expanded since 2001. Today, the Marine Corps has planned for significant budget and personnel reductions, even before U.S. forces are withdrawn from Afghanistan. Yet this doesn’t mean the Marines will ignore the lessons learned from the past decade of combat operations. The world is a different place than it was on Sept. 10, 2001—it’s more dangerous. We continue to witness violent extremism, regional competition and increased sophistication and lethality among nonstate actors at unprecedented levels. As former Secretary of Defense Robert Gates pointed out, since we cannot predict where and when we will respond to crises we have to plan for multiple scenarios. The readiness and responsiveness of Marine Corps forces should not be anchored to a pre-2001 model of the Corps, because the world on which it was based no longer exists. 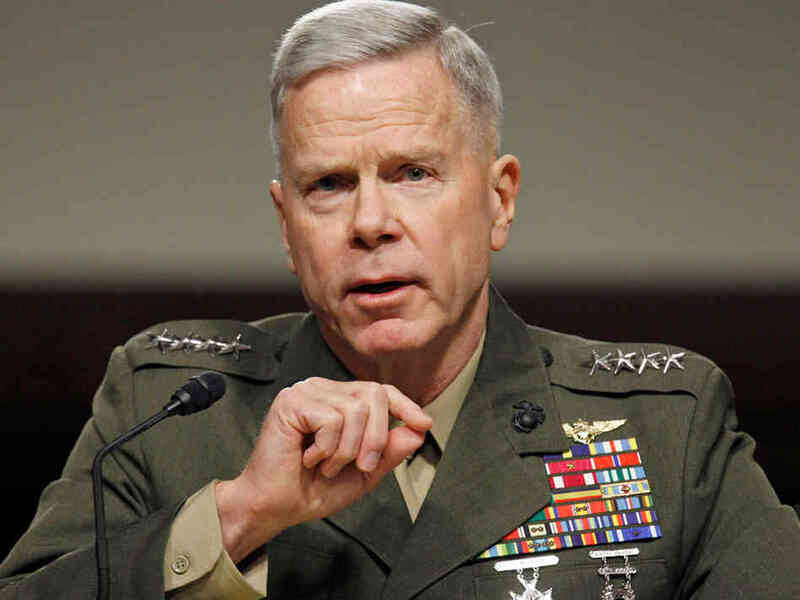 Gen. Amos is commandant of the Marine Corps.